neko girls. . HD Wallpaper and background images in the Neko anime Characters club tagged: neko. the dark ones happy an the white one isn't.....they traded personalities.....COOL!! i was kinda if this was a anime..
isn't these 2 from nekopara? 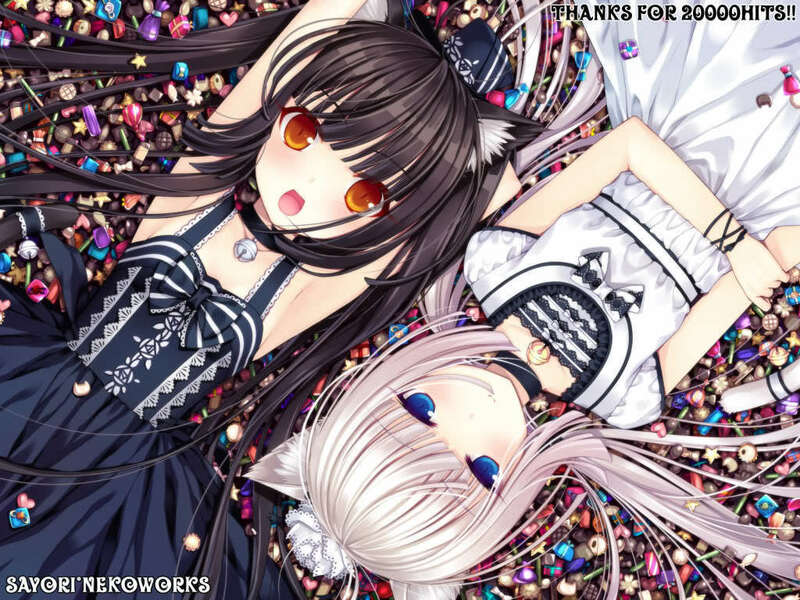 chocola and vanilla!